$4,462 off MSRP! Priced below KBB Fair Purchase Price! 23/30 City/Highway MPG Lightning Blue Metallic 2019 Ford Escape 4D Sport Utility SEL EcoBoost 1.5L I4 GTDi DOHC Turbocharged VCT At Mullinax Ford there are NO Dealer Fees, that saves you as much as $900 vs our largest competitors!!!  Mullinax Ford has one of the largest selection of new Fords in the Nation. CHECK OUT our Highly Rated Customer Reviews on Google!! The Up Front ® Price includes Mullinax Discounts, Factory Rebates, and Ford Credit Financing Rebates. In addition, you may be eligible for other Rebates (College, Military, or Private offers) not included in the Up Front® Price. Ask your Salesperson for more details. $2,750 - Retail Customer Cash. Exp. 05/31/2019, $1,000 - Retail Bonus Customer Cash. Exp. 07/01/2019 $300 - FMC Dealer Loyalty Cash. Exp. 4/30/19.